4th Grade Curriculum and Homeschool Learning Objectives | Homeschool Curriculum. If you are looking for a 4th grade curriculum, here are some homeschool learning objectives and suggestions for some fourth grade homeschool curriculum options. What are Fourth Graders Expected to Learn? 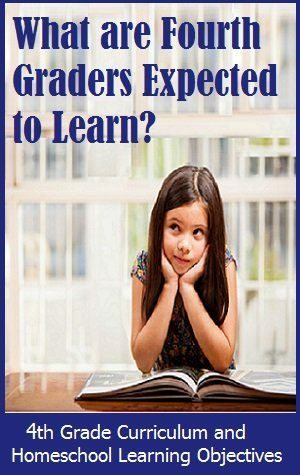 Fourth grade can be challenging for reasons other than expanding curriculum, so you will need some guidelines on what your children should be learning. Fourth grade is a big step from third grade and children will notice the increase in expectations of any program from third to fourth grades. It is important for them to be ready for it and for parents to be prepared for the increased challenge as well. The first step is to determine what you are required to teach at this level by your state. Some states have many more guidelines than others, but you have to at least meet their minimum standards. Check your state government website to find more information on home schooling requirements for your state. The next step is to develop a plan that suits your child and your home. You can make use of the following objectives designed for all fourth graders regardless of state requirements, but you may want to add your own spin on things. Teach your children what you want them to learn and allow them to progress at their own pace. 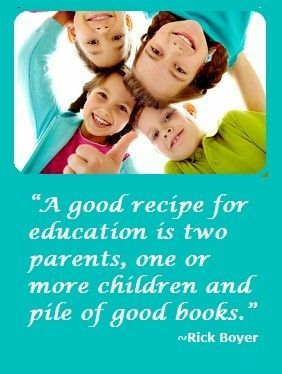 That is just one of the benefits of homeschooling! Gain more in-depth knowledge about the world, animals, organisms, natural resources, etc. This year brings great development in the areas of personal responsibility and social interaction. Children should be given opportunities to work with peers on group projects, and they should start to handle more of the organizational elements of their schoolwork. This is the perfect grade to introduce larger projects for children. For example, many children are allowed to make dioramas to represent different animal environments in the wild or the lives of a particular Indian tribe. Think long term and extended projects when creating activities at this grade level. Give help as needed, but children should be encouraged to think creatively and do the majority of the work on their own. Fourth graders should be working on the computer to do research and play educational games. Computers are a natural part of the modern world, and children need to learn to use them safely. 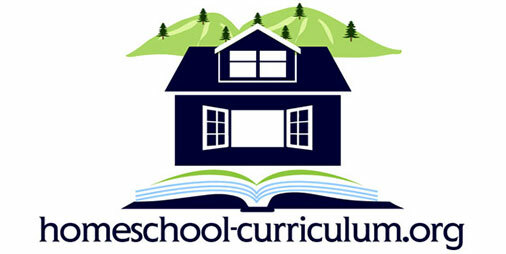 Computer-based 4th grade homeschool curriculum options tend to be a good fit at this age. If you do not have a computer at home, go to the public library as frequently as possible. Fourth graders are advanced and independent learners who like to use their new abilities to express themselves in new and exciting ways. At the same time, they may also be dramatic worriers who are still figuring out to manage all the work that you expect them to do as homeschoolers. Thankfully, fourth grade is a year when students begin to find their academic niche. They start to want to spend time doing things that interest them and where they have the most confidence in their abilities. For example, kids who love to read will find themselves extremely interested in reading books from genres or subject areas that interest them. They often will mow through book series like you might devour a plate of cookies. As the teacher of a fourth grade student, be sure to take him or her seriously and work to keep their interests alive. At times, that may mean deviating from the prepared curriculum when you find an area that really interests your child. You should not feel bound to the curriculum when this happens. The ability to adjust quickly is one of the major benefits of homeschooling. Fourth graders are also figuring out where they fit socially, which means that competitive feelings may play a role in disrupting the learning process. Even though your child will likely be the only one in his or her grade because you are homeschooling, they may be around other kids their age at sporting events, church or with a homeschool group. As this occurs, they will be become more aware of cultural and socioeconomic differences and may group people according to what they see. If they have trouble understanding a difficult topic, they may also not want to ask for help because they won’t look or feel as smart as they think they should. Fourth graders tend to be too concerned about what their friends and classmates think, so homeschooling may be a way to help them begin asking questions in a non-threatening environment. Encourage them to ask a lot of questions and tell them that smart people ask questions all the time. As your child grows, you may notice that fourth graders are more socially sophisticated and outspoken than you were at the same age. Girls in general today start puberty earlier than they did in the past, with some getting their periods by age nine. Be aware that these changes will begin to show up in your child’s attitude and schoolwork. As they are around their peers in various environments, fourth graders will begin to navigate social dilemmas as well. 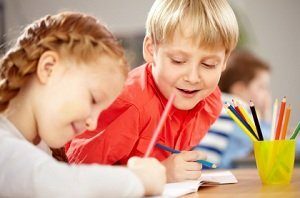 This is another way that homeschooling gives you an advantage – you will have plenty of time to help your child work through the questions he or she has about these social situations. Many kids want to work these issues out, and you can help them improve their communication skills with your support. Managing time effectively – As you give your child more writing or long-term assignments, he or she will begin to experience more demands on their time. They will have to figure out how to break their work into smaller pieces instead of trying to finish it all at the last minute. Rely on the context of a conversation instead of literal interpretations – Fourth graders are beginning to develop the ability to not take every word you say literally. This is important in homeschooling so they can understand more complex books and can fully understand directions that you give. Ability to prioritize and set goals – This skill will help your child be able to accomplish everything they need to get done. As his or her workload increases and the chance for extracurricular activities increases, he or she will have to decide what is most important to do first. As a homeschooler, you are a in a great position to help direct your child’s work every day to help them learn this vital skill. Alpha Omega Switched on Schoolhouse –The interactive quizzes, games, videos and reviews in this program make it a big hit with 4th grade students. Alpha Omega LifePacs –This program is a favorite for students who love mastering a topic before moving to the next. Sonlight — The Sonlight programs are a favorite for its ability to make historical novels come to life. Apologia Science — This elementary science program is a big hit with most elementary students especially 4th graders. RightStart Mathematics – We’ve used this in our household and love it. Read the review to learn more! Horizons Math — If your fourth grader likes colorful worksheets and a little challenge, the spiral learning method of this option may be a good fit. Saxon Math — The mastery learning method of this program makes it a good fit for students who want to master a skill before moving on to a new concept. MathUSee — 4th graders really enjoy the visual aspects of learning option. Do you have a favorite fourth grade homeschool curriculum? Share it here. Thanks for checking out our collection of information designed specifically for fourth grade homeschool parents. Please visit the rest of our website for even more resources and information to guide your homeschooling journey. We know homeschooling seems like a big challenge, but these resources are a great place to start, and there is a large homeschooling community who will be willing to help. Get started today!